Install AutoStart – No root in your Android device. Run the application and select Kodi as shown below. 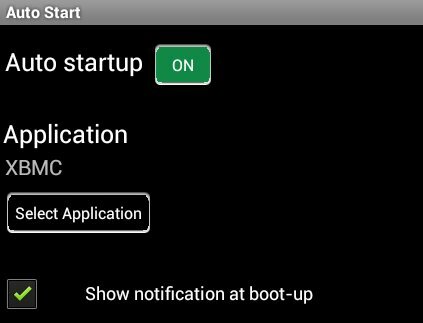 There’s no need to tick “Show notification at boot-up”, since Kodi will just show in the foreground. Done! Next time you restart your device Kodi will run automatically.